Hello and thank you for taking the time out of your day to read through why I'm fundraising! If you don't already know me my name is Ashley Bond. I am a second year BSc (Honours) Sport Development with Coaching student at Sheffield Hallam University. I will be travelling to Arusha in Tanzania for a once in a lifetime opportunity as part of my undergraduate degree for 7 seven weeks from May to June 2019. I am one of seven students who have been successfully selected out of the whole of Sheffield Hallam University's Academy of Sport and Physical Activity sector to be granted with this opportunity. What will I be doing in Tanzania? I will be living with a host family and learning the East African culture whilst making a positive difference to the lives of young people and families who are less fortunate than ourselves through the power of sport with the view leaving a legacy behind. I will be working with peer leaders, volunteers and staff from local organisations within the city of Arusha and the surrounding areas. I will be responsible for co-coaching, training, assisting the organisation of school and after school sporting activities as well as delivering training workshops with local leaders. During my time in Arusha I will also be involved with sports leadership and coaching in local clubs and community settings, working with local teachers, coaches and peer leaders. Another part of my work placement will be participating in the preparations for the East Africa Cup with local junior football teams. What I will be doing in order to fund raise? I will be participating in a hat-trick of challenges! - My 1st goal is: DRY FEBRUARY (2019). - My 2nd goal is: CLIMBING SHEFFIELD'S VERY OWN KILIMANJARO (HIGH STONES). Kilimanjaro is the highest mountain in Africa. High Stones which is found within the Peak District is the highest point in Sheffield and South Yorkshire region. So with this in mind I will be conquering Sheffield's highest point on the 2nd of March as it's Sheffield's answer to Kilimanjaro. - My hat-trick goal is: SHEFFIELD HALF A MARATHON. Never in my life have I ran continuously for 13.1 miles (21km) but on 14th April 2019 I'll be giving it my best shot following an intense training regime. As if my third and final hat-trick goal wasn't gruelling enough I have also decided that I will complete the race in fancy dress, a cheer leaders outfit of course, so watch out for that! Why am I putting myself through this hat-trick of challenges? 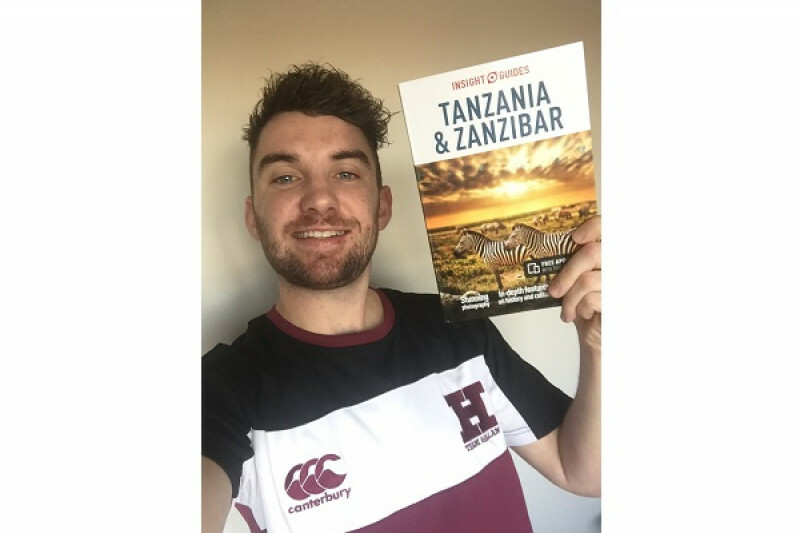 The seven week work placement is self-funded as I'll be volunteering during my time in Tanzania and the cost of this trip in total is £2,500 - £3000. I am aiming to raise £1,000 by being dedicated to completing the above challenges with the help and support from people such as yourself. The cost will help to cover the fees of flights, accommodation, living expenses, insurance, vaccinations and also equipment to take over with us. Thank you once again for supporting me - I can assure you that I really do appreciate every single like, comment, share and donation! A volunteer led sport for development organisation committed to developing sport participation and leadership development opportunities for young people in the city of Arusha. YES Tanzania aims to build the capacity of existing community sports and youth development organisations in Tanzania to enable them to provide sustainable opportunities for young people to participate in sports and youth development activities designed to empower them to meet the challenges of poverty and disadvantage. The East Africa Cup is a youth sport, education and cultural event for boys and girls aged 11-16 years. Held annually in the last week of June in the city of Moshi, the tournament involves more than 100 sports and cultural teams and up to 2000 able bodies and disabled young people. The tournament is first and foremost about education and awareness building; sport is the chosen tool through which this is achieved. It gathers together young people from East Africa irrespective of language, race or religion in a festival of football, volleyball, music and theatre. It also provides an opportunity for sport for development practitioners and leaders from across East Africa and internationally to meet together together for a programme of workshops and seminars.